To the hungry forage harvester for one more load. As it hauled a power harrow up a steep hillside. The dog-fox paused, then vanished in the deep hedgerow. I’ll forsake the map and compass, ride my road – and not look back. I was talking to a friend on Saturday about poetry and tractors (as you do) and you pop up with one this morning. Though I rarely enjoy being lost…one must admit as you note..sometimes the best sights are seen then…enjoyed your poem and the memories it engendered. 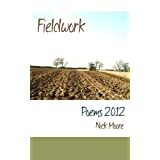 Hi Nick, good poem, we seem to be all on the move it seems 🙂 poetry wise. Good to see another poem of yours! I hope you are doing well.